Italy is the country where billing software isn’t widespread yet. One of ten companies uses billing software due to its simplicity. One of thirty companies uses electronic way of invoicing due to additional features that are available. For the user of invoicing program it’s hard to understand people, who send paper invoices yet. Electronic invoicing provides nothing but advantages to your business. Even if it seems difficult to send electronic invoices, you can learn this in order to save company’s money. Electronic invoice is approximately ten times cheaper that paper one. There are some reasons, why billing software is not so popular in Italy. People have problems with interpreting regulatory framework. Also they have wrong understanding of the costs of billing software. Some companies find it difficult to use billing software and hard to evaluate their future benefits from using it. New legislation appeared in the end of 2010 that made electronically signed documents equal with documents signed traditionally. In Italy electronic signature is compulsory for electronic invoices. 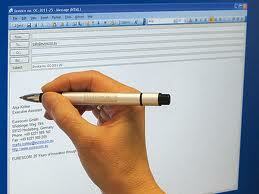 Electronic signature should be provided by Xyzmo Company. They have created their own solution for electronic signing called SIGNificant. First electronic invoices were introduced in business-to-government segment. Exchange with government using electronic invoices was compulsory. But the main goal is to spread billing software among all companies. Italian banking system is already adapted to electronic invoicing. However, there are other channels for sending invoices, like EDI, Internet, Open Networks and VPNs. To my mind, there is everything possible to use billing software solutions for the business in Italy.